A husband and wife team documenting love stories. Hi! I’m Erin, from Erin Wilson Photography which is a photography and cinematography business I started in 2014. Most of the time you can find me traveling, exploring, photographing and editing gorgeous photos, painting, throwing parties and making excellent charcuterie boards and maybe watching a little HGTV to get inspired during our renovation of our 1970’s fixer-upper. I’m most known for dreamy romantic wedding photography. I love serving others by encouraging their creative sides, reminding them how beautiful they are and being as positive and calm in wild situations. I am extremely passionate about people, art and love. I photograph weddings on film and digital and very inspired by timeliness images that have a little artful vibe. 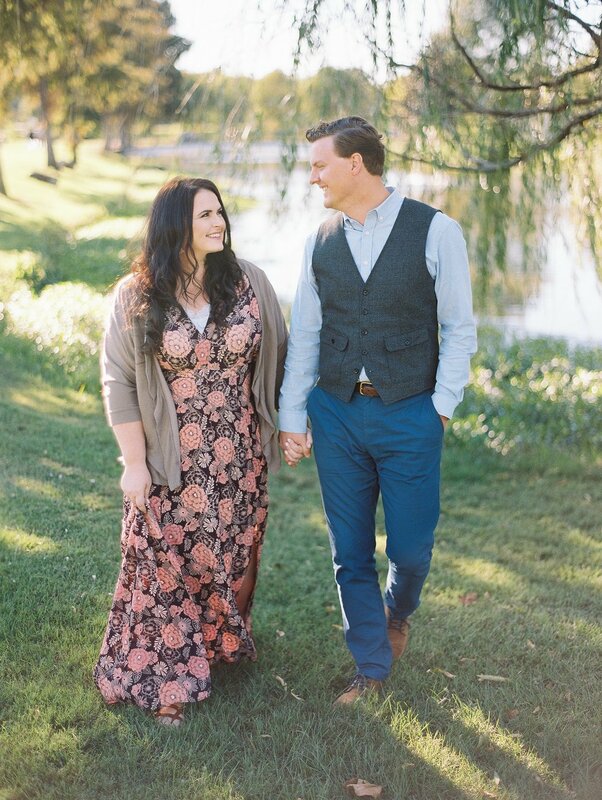 Last year my husband Josh joined me in my business and we work together documenting our couples weddings in a romantic, dreamy and meaningful way. We love working as a team and work seamlessly together and I could not ask for a better partner. 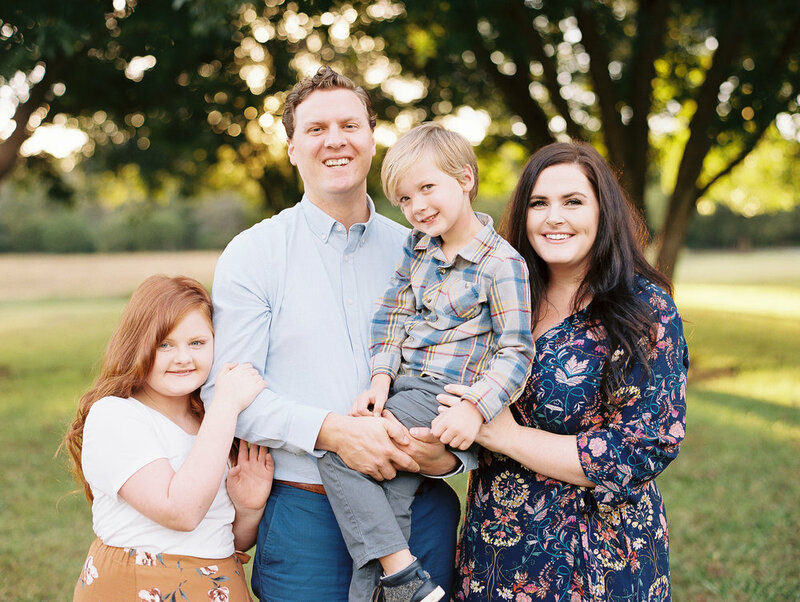 My husband Josh and I have two sweet children Penelope Lane (she has fire red hair and loves to sing and dance) and Emerson Gray (he has blonde hair, twinkly eyes and loves coloring and building anything with legos). We constantly try to do creative and adventurous things as a family. Sometimes we even put a tarp down in our living room and do full on painting nights as a family. I have known for a very long time that I (Erin) wanted to be a wedding photographer. I knew I loved photography and creating art but always from the beginning I knew that what I wanted to do was document love. Being married for over ten years to my husband I know what it's like to look back at my own wedding photographs and think of the day our lives started together. Even after we were married my sisters and my brother got married and I had the chance to see the process on the other side. I know what it's like to look back on that incredible day and reminisce and it's so important to me to document each of my couples in a natural, joyful and artful way. I realize these are the images you have for the rest of your lives and I take pride in working hard for my couples to make those as beautiful as possible. I love outdoor weddings, historic homes, family farms, beautiful venues full of love, relationships, fun, dancing, gorgeous details and handwritten vows. I will probably tear up at your first dances, your vows and the beautiful words your friends and family say about you during your toasts. I don't just show up on a wedding day to take images...I'm there to help in any way I can. I have sewn in bustle on a wedding gown, put in a hundred wedding veils, I always end up being the one putting on the groomsmen boutonnieres and I do it all with pride. I know that it's more than just photos that make a wedding day beautiful and stress free. I just want all my brides to be treated the way I would have wanted my best friends or my sisters to be treated and I do just that! I have fallen in love with film images and the colors, tones and depth and shoot it as much as I can when the light is beautiful. I love to capture those candid sweet moments as well as create a beautiful artful scenic image for each of my couples. Most of my couples love how dreamy my work is and I love that! Josh, my husband over 10 years, has recently joined me in action and offers beautiful wedding videos he films right along side me. It’s the best! I love that we know how to work around each other so well on a wedding day and that our work style flows together seamlessly. He loves story telling and creating beautiful wedding films for our couples. Josh loves music, a great movie, dance parties with our two little ones, podcasts, audiobooks, basketball (he’s a little obsessed with Lebron James), live bands, good shoes and takes longer than me to fix his hair. ;) We love family movie nights and going on adventures together. We have been working for a few years fixing up our house and Josh takes care of all the handyman projects including recently gutting and remodeling one of our 70’s bathrooms. We’ve been loving working as a team serving our couples and documenting one of the most important days of their lives! Our goal is to serve our couples as a team and work fluidly together on your wedding day. I love the fact that we know each other so well and know the ins and outs of a wedding day to move around each other as a team documenting each and everyone our couples days in a beautiful way. Josh works to tell your story in a thoughtful, meaningful and beautiful way. A writer at heart he loves the story behind everything and every detail. He loves writing short stories. He loves his coffee black. He loves Bob Dylan, The Avett Brothers, Johnny Cash and The Beatles. He can also recite many lyrics to Lizzo. He is obsessed with all Apple Products. He has some killer dance moves. He can play three instruments (piano, guitar and drums). He loves a good hair cut and a good pair of shoes. She loves blush pink pedicures. She throws fun dinner parties and loves to cook for friends and family. Her obsession is home decor, design and all things HGTV. She studied painting and fine arts since she was 12 years old and is a huge lover of the arts. She loves all kinds of music but especially loves Adele, Jenny Lewis, Taylor Swift and Kasey Musgraves. She drinks her coffee iced. She loves traveling and exploring…always up for an adventure. Her favorite thing are movies nights.